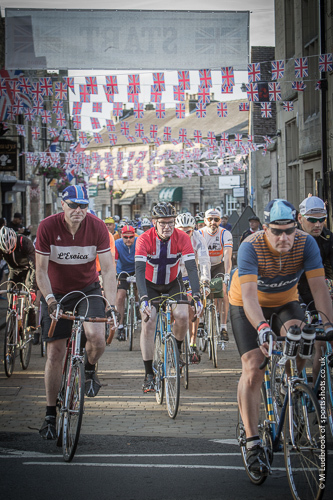 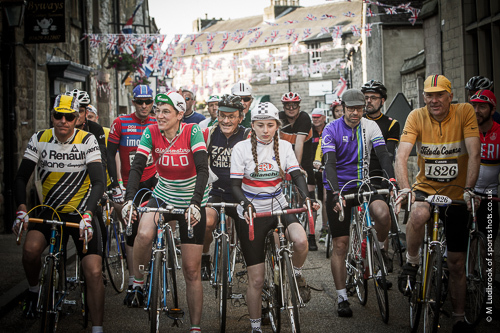 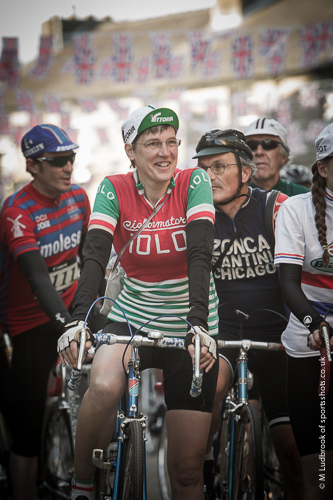 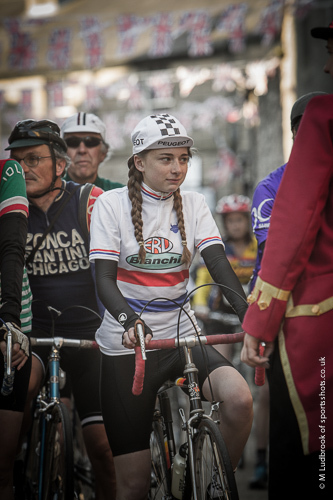 Eroica Britannia has derived from the vintage non competitive cycle race which takes place at the beginning of October in Gaiole in Chianti in Tuscany. 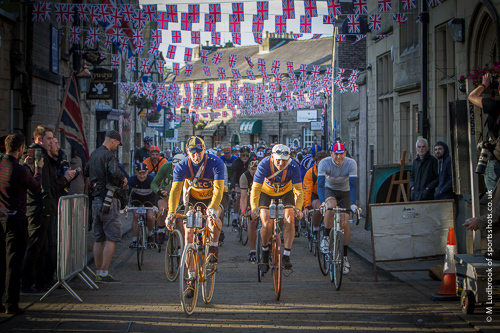 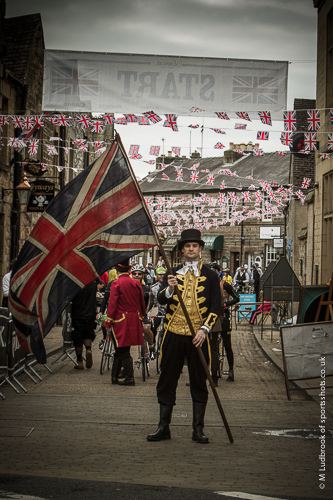 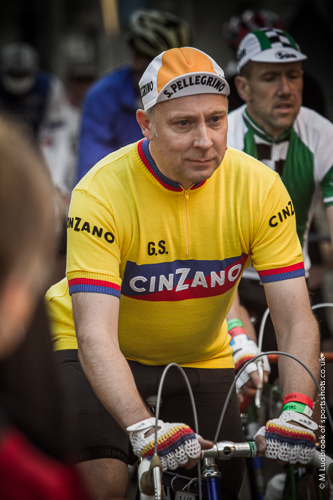 Started in 1997 and its aim is to reenact historical cycling. 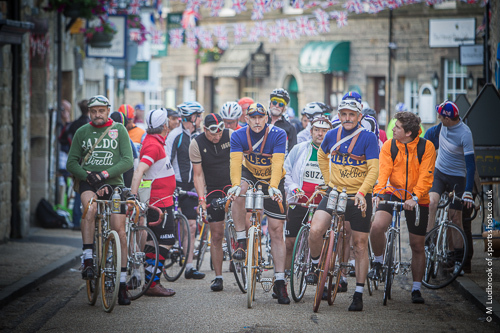 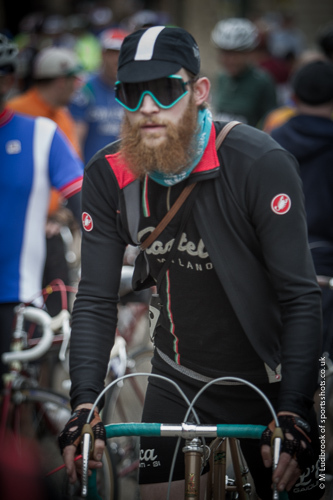 The event is open to anyone as long as a vintage bicycle is used. 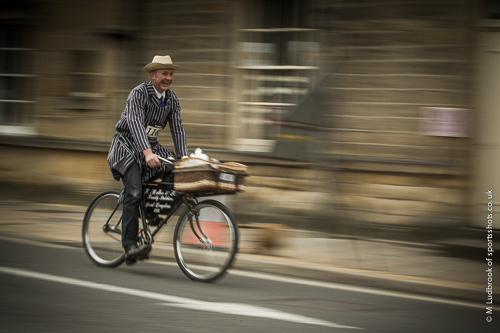 The bicycle is considered vintage if it's from before the 1980s and has a metal frame, gears on the frame and cage pedals. 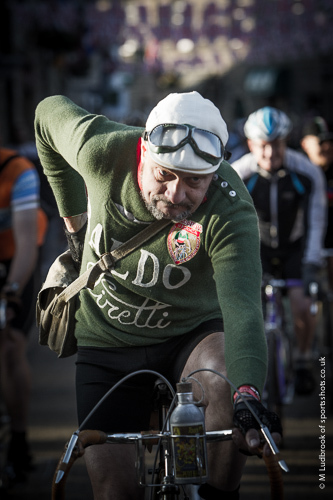 The Italian version has various routes that can be done, from 38km to 205km, over both paved and the famous Tuscan 'white roads' (unpaved). 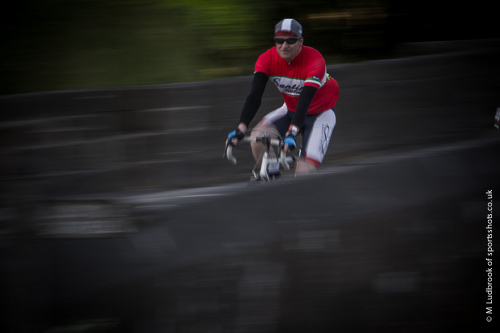 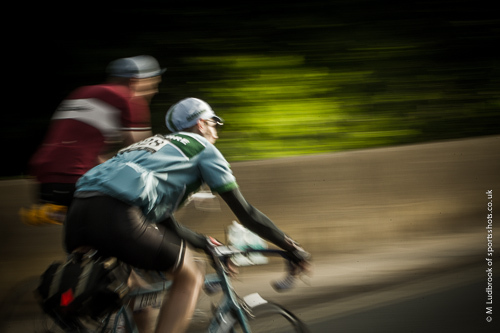 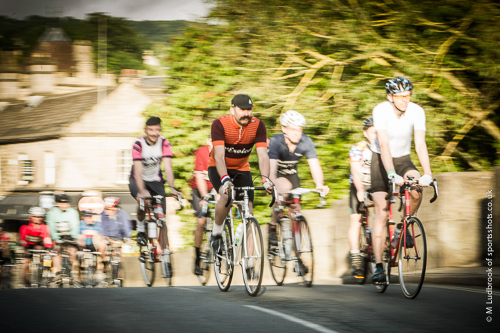 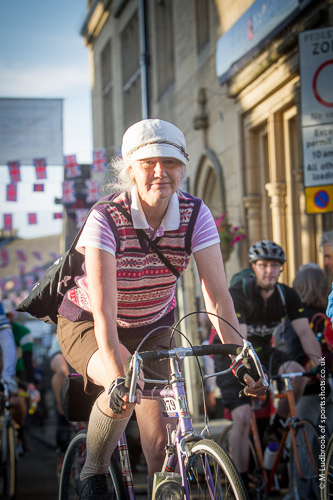 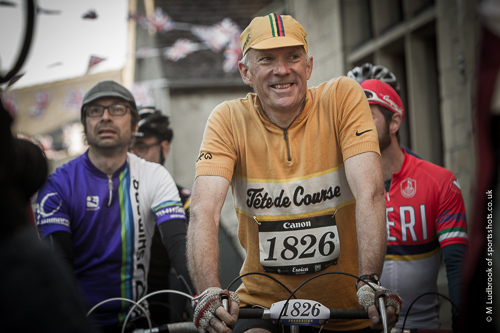 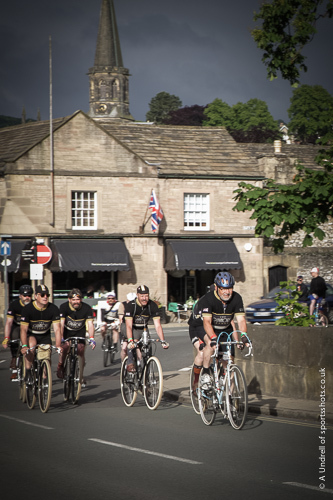 The Bakewell version shadows the Tuscan event and had three routes ranging from a leisurely 30 mile ride to a 100 mile ride for the more serious cyclist, again emulating the Italian event taking in main roads and unpaved routes across Derbyshire. 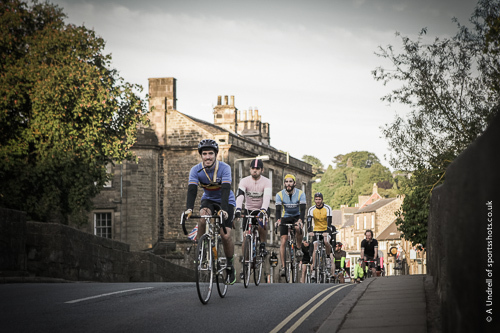 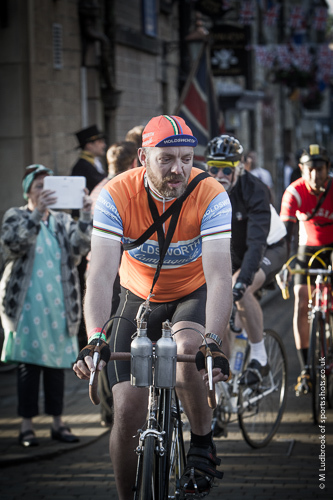 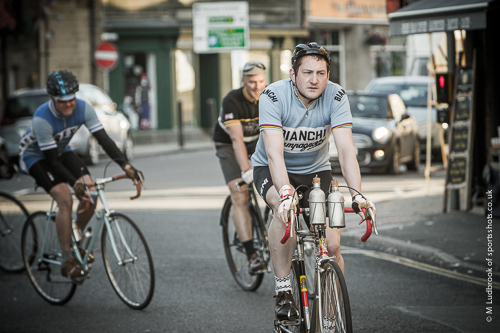 Bakewell hosted a 6AM start for the first pack who were about to tackle the 100 mile route. 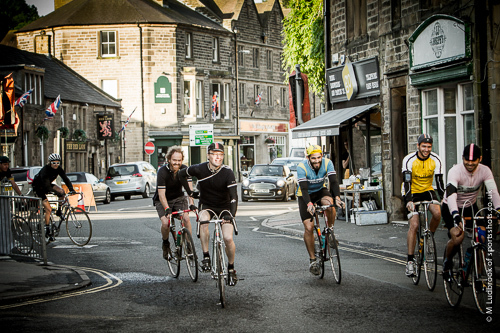 That took them down the high street and over the bridge and out to the countryside. 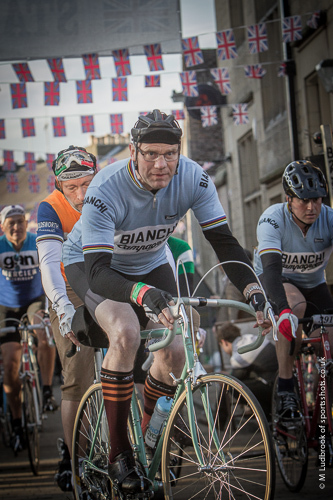 Vintage gears on the bile and many in vintage gear ridding the bikes made for quite a spectacular sight. 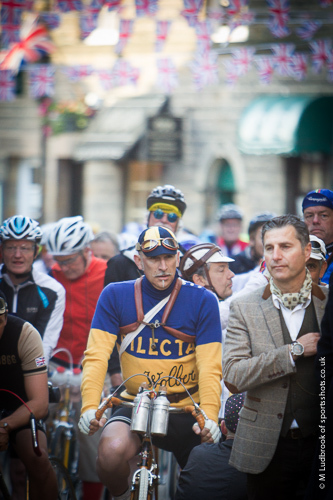 Many of the riders out for shear pleasure and from all corners of the world. 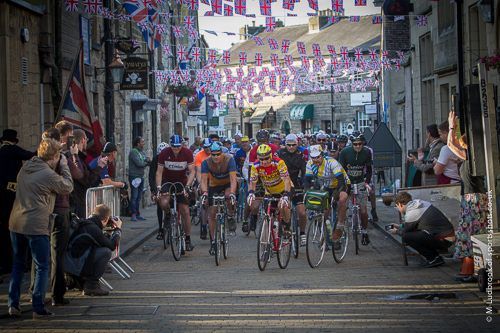 The whole event brought thousands into the area for the 3 day festival that has grown since its last visit in 2014.